Nose: Citrus – a mix of lemon and lime with sweetness from anise and liquorice. Palate: Sweet spice upfront – perhaps a pinch of nutmeg – before some definite citrus, making this reminiscent of lemon drizzle cake, complete with icing. Finish: As the creamy vanilla fades, notes of orange appear and linger with a definite zestiness on the finish. Comments: A bright and exciting gin and a great choice as a base for gin punches, fruit cups, or a G&T. Nose: Delicate fragrant fruity notes with fresh garden herbs and flowers – jasmine, lavender, honeysuckle and roses. The juniper is a little shy. Palate: Spicy, juicy, rich and smooth, with fruity elements. Simply delicious. Finish: Rich and spicy with lavender, melon, lemon and ginger lingering. 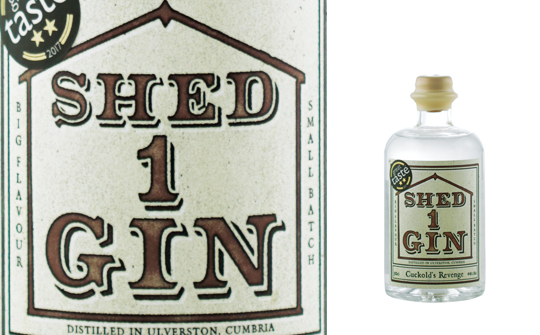 Comments: Those who prefer less juniper heavy gins will love this delicate, summery gin. Mix with tonic and serve with a garnish of mint and strawberries, or a slice of ginger and lime.